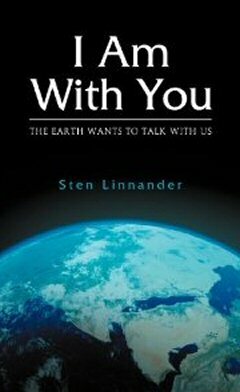 I Am With You: The Earth Wants to Talk with Us is a new book by Sten Linnander, now available as a printed book and an Ebook in many different formats. On this webpage you can purchase the printed book at the lowest price directly from the author, or from Amazon.com. You can even have the author sign a personalized copy of the book for you. Or you can purchase the Ebook for the Kindle from Amazon.com, Amazon.de, or Amazon.co.uk. Or you can purchase the Ebook from Smashwords for the Nook, the Sony Reader, the Palm reading devices, as a PDF, in plain text, and more. The complete Ebook is available for immediate download as soon as your purchase is complete. Not sure if you want to buy this book? Then check out the book reviews from others who did and find out what they say. Or read a synopsis of the book or a sample chapter. You will also find information here about Sten Linnander, the author, including an interview that gives you some “behind the scenes” information you won’t find in the book itself. When you’re finished, please feel free to write your own book review or contact Sten for more information. Thanks for your interest in I Am With You: The Earth Wants to Talk with Us. Copyright © 2019 I AM WITH YOU. All Rights Reserved.